To create Java applications you must have JDK provided free of charge by Sun Microsystems and can be downloaded at www.java.sun.com. 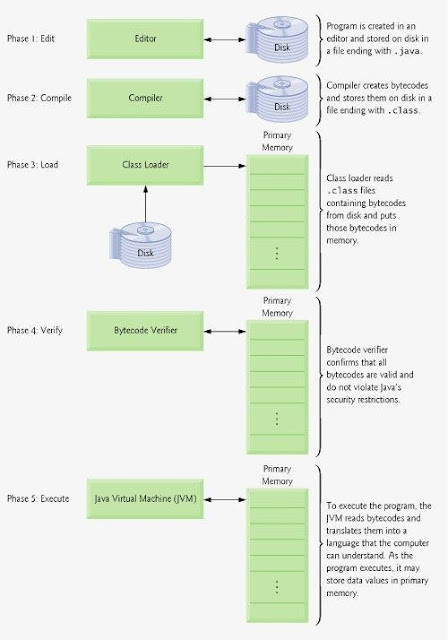 Once installed, the JDK includes several important programs which are javac.exe as a Java compiler and a Java interpreter java.exe. Save with the exact same file name (his capital letter) the class name and add the extension java at the end of the file, ie Contoh1.java, then compile the text file with this command at the location of the folder where the file is stored. The above command will generate bytecode with Contoh1.class name. How to run with the command java bytecode and its bytecode files without being followed by the extension class.